The following table lists identified Courts Martial for The RCR, incuding those that have been identified as members of the Regiment who were serving with other units at the time of their Court Martial. 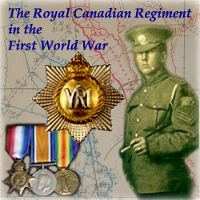 Data has been compiled from the Library and Archives Canada database of Courts Martial for the First World War and entries in the Part II Daily Orders of The RCR for the overseas battalion (1915-1919). In confinement awaiting trial 31 Aug 1917. Tried and convicted by FGCM 13 Sep 1917 of While on Active Service Striking a Soldier, 31 Aug 1917 and sentenced to be reduced to the rank of Corporal. Sentence confirmed by Brig-Gen H.M. Dyer, G.O.C. 7th Cdn Inf Bde, 13 Sep 1917. In arrest awaiting trial 22 Apr 1917. Tried and convicted by FGCM 30 May 1917 of When on active service, absenting himself without leave and sentenced to 30 days Field Punishment No. 1. Confirmed by Brig-Gen A.C. Macdonell, GOC 7th Cdn Inf Bde. In confinement awaiting trial 26 Nov 1917. Tried and convicted by FGCM 17 Aug 1917 of Overstaying pass at Paris Page from 8.30 p.m. 24 Nov 1917 to 9.40 p.m. same date (1 hour 10 min) and sentenced to forfeit 14 days pay, 30 Nov 1917. Sentence confirmed by Brig-Gen F.W. Ratcliffe 30 Nov 1917 . Forfeits 4 days pay while in arrest. In confinement awaiting trial 27 Apr 1917. Tried and convicted by FGCM of Conduct to the prejudice of Good Order and Military Discipline, negligently wounding himself in the left thigh. Sentenced to 42 days Field Punishment No 1, 5 Jun 1917. Sentence confirmed by Maj EVM Shelley, DAQMG, 1st Army, 8 Jun 1917. In arrest awaiting trial 27 Apr 1916. Tried and convicted by FGCM 2 May 1916 of When on active service, Drunkenness and sentenced to be Reduced to the Rank of Corporal. Confirmed by Brig-General JA Aseer, Base Commandant, Havre, 2 May 1916. Tried by D.C.M. 2 Oct 1915 and sentenced to be reduced to the Rank of Corporal for When on Active Service, Drunkenness In arrest awaiting trial from 17 Sep to 2 Oct 1915. Tried by R.C.M. 27 Sep 1915 and sentenced to 168 hours detention (reduced to Permanent Grade Private) for When on Active Service Drunkenness In arrest awaiting trial 17-27 Sep 1915; to detention 28 Sep 1915. In confinement awaiting trial 29 Feb 1916. Tried and convicted by FGCM 11 Mar 1916 for Drunkenness and sentenced to 56 days F.P. No. 1. Confirmed by GOC 7th Canadian Infantry Brigade 14 Mar 1916. In arrest awaiting trial 22 Apr 1917. Tried and convicted by FGCM 30 May 1917 of When on active service, Disobeying lawful command given by his Superior Officer and sentenced to 90 days Field Punishment No. 1. Confirmed by Breg-Gen A.C. Macdonell, GOC 7th Cdn Inf Bde. Absent from 3.30 p.m. 14 Nov 1917 to 3 p.m. 10 Dec 1917. In arrest awaiting trial 10 Dec 1917. Tried and convicted by FGCM of When on active service, Deserting His Majesty's Service found NOT GUILTY of DESERTION but GUILTY of ABSENCE WITHOUT LEAVE and sentenced to 18 months Imprisonment with Hard Labour, 3 Jan 1918. Sentence confirmed by G.O.C. 7th Cdn Inf Bde, 28 Nov 1917. In arrest awaiting trial 9 Aug 1918. Tried and convicted by FGCM of When on active service, Deserting His Majesty's Service from 1 p.m. 7 Aug 1918 to 3.30 p.m. 9 Aug 1918 and sentenced to 5 years Imprisonment with Hard Labour. Forfeits 3 days pay by Royal Warrant. Sentence confirmed by G.O.C. 7th Cdn Inf Bde, 23 Sep 1918. In arrest awaiting trial 19 Jan 1917. Tried and convicted by FGCM of Conduct to the Prejudice of Good Order and Discipline (Negligently wounded himself in the left hand) and sentenced to 40 days F.P. No. 1, 6 Feb 1917. Confirmed by D.A. & Q.M.G., 1st Army, 7 Feb 1917. 22 477134, (4741) Cpl Herbert Frank Butler 18 Jan 1919 Reduced to the ranks. In arrest awaiting trial 12 Jan 1919. Tried and convicted by FGCM 18 Jan 1919 of When on active service, Refusing to obey an order given by his superior officer. Sentenced to be reduced to the ranks. Sentence confirmed by G.O.C. 7th Cdn Inf Bde, 19 Jan 1919. In arrest awaiting trial 7 Jun 1918. Tried and convicted by FGCM of When on active service, Absent without leave from 9 p.m. 7 Jun 1918 until apprehended by the M.F.P. at Lillers at 10.30 p.m. 7 Jun 1918 and sentenced to 22 days Field Punishment No 1, 18 Jun 1918. Sentence confirmed by G.O.C. 7th Cdn Inf Bde, 19 Jun 1918. In arrest awaiting trial 13 Jul 1918. Tried and convicted by FGCM of When on active service, and act to the prejudice of Good Order and Military Discipline in that he, at WAILLY on 13 Jul 1918 did dig potatoes in the garden of a civilian without authority and sentenced to 30 days Field Punishment No 1, 5 Aug 1918. Sentence confirmed by G.O.C. 7th Cdn Inf Bde, 5 Aug 1918. Absent from 14 Nov 1917 to 18 Nov 1917. In arrest awaiting trial 18 Nov 1917. Tried and convicted by FGCM of When on active service, Deserting His Majesty's Service and sentenced to 15 years Penal Servitude, 28 Nov 1917. Sentence confirmed by Lt-Col AA Adamson, DSO, Commanding 7th Cdn Inf Bde, 28 Nov 1917. In arrest awaiting trial 23 May 1918. Tried and convicted by FGCM of When on active service, Disobeying in such a manner as to show wilful defiance of authority, a lawful command given by his Superior Officer and sentenced to 90 days Field Punishment No 1, 7 Jun 1918. Sentence confirmed by G.O.C. 7th Cdn Inf Bde, 8 Jun 1918. In arrest awaiting trial 15 Jun 1918. Tried and convicted by FGCM of When on active service, Striking his Superior Officer being in the execution of his Office and sentenced to 3 years Penal Servitude, 9 Jul 1918. Sentence confirmed by G.O.C. 7th Cdn Inf Bde, 10 Jul 1918. In arrest awaiting trial 10 Feb 1917. Tried and convicted by FGCM of Drunkenness in the Tranches and sentenced to 6 months I.H.L., fined 5 dollars. Confirmed by GOC, 7th Can Inf Bde, 23 Feb 1917, who commutes the sentence to 4 months I.H.L.. In confinement awaiting trial 28 Nov 1915. Tried and convicted by FGCM of When on active service, Disobeying a lawful command given by his Superior Officer and sentenced to 42 days F.P. No. 1, 4 Dec 1915. Confirmed by GOC Canadian Corps Troops, 7 Dec 1915, who commutes sentence to 28 days F.P. No. 1. Tried by D.C.M. 23 Oct 1915 and sentenced to be reduced to the ranks and undergo detention for 42 days for (1) Absenting himself without leave, (2) When duly ordered to attend as a Witness before a Court Martial, making default in attending. In arrest awaiting trial 12-25 Oct 1915. 37 477215 L/Cpl William Curtis 18 Jun 1918 Reduced to the ranks. In arrest awaiting trial 9 Jun 1918. Tried and convicted by FGCM of When on active service, Absenting himself without leave from 9 p.m. 5 Jun 1918 till 3 p.m. 9 Jun 1918 and sentenced to be reduced to the ranks 18 Jun 1918. Forfeits 5 days pay by Royal Warrant. Sentence confirmed by G.O.C. 7th Cdn Inf Bde, 8 Jun 1918. In arrest awaiting trial 2 May 1918. Tried and convicted by FGCM 15 Nov 1918 of When on active service, Absent without Leave from 12 Dec 1917 until 1 May 1918. Forfeits 141 days pay by Royal Warrant. Sentenced to 6 months Imprisonment without Hard Labour. Sentence confirmed by G.O.C. 7th Cdn Inf Bde, 16 Nov 1918. In arrest awaiting trial 24 Oct 1918. Tried and convicted by FGCM 30 Nov 1918 of When on active service, (1) Absenting himself without leave from 08.30 hours 27 Sep 1918 until 15.00 hours 24 Oct 1918; (2) Losing by neglect his arms, equipment and Regimental necessaries to the value of 15/11. Sentenced to 1 year Imprisonment with Hard Labour. Forfeits 28 days pay by Royal Warrant and is placed under stoppages of pay to the amount of 15/11. Sentence confirmed by G.O.C. 7th Cdn Inf Bde, 1 Dec 1918. In arrest awaiting trial 28 Jun 1918. Tried and convicted by FGCM of When on active service, Using insubordinate language to his Superior Officer. Sentenced to 28 days Field Punishment No 1, 13 Jul 1918. Sentence confirmed by G.O.C. Canadian Corps 14 Jul 1918. In arrest awaiting trial 19 Aug 1916. Tried and convicted by FGCM 4 Sep 1916 of When on active service, Leaving his Post Without Orders from his Superior Officer and sentenced to Two Years D.H.L.. Confirmed by GOC 7th Canadian Infantry Brigade 6 Sep 1916. In arrest awaiting trial 8 Jun 1918. Tried and convicted by FGCM of When on active service, Conduct to the prejudice of Good Order and Military Discipline in that he, in the Field, on 8 Jun 1918 was found on the premises of M. Lockhart Dussussy Bourecq without authority and Drunkenness and sentenced to be 45 days Field Punishment No 1, 18 Jun 1918. Sentence confirmed by G.O.C. 7th Cdn Inf Bde, 19 Jun 1918. In confinement awaiting trial 5 Oct 1918. Tried and convicted by FGCM 12 Oct 1918 for When on Active Service offering violence to his superior, L/Cpl WF Martin, M.F.P., and sentenced to 90 days Field Punishment No 1, 5 Jun 1917. Sentence confirmed by Base Commander Boulogne 13 Oct 1918. In arrest awaiting trial 20 Jan 1918. Tried and convicted by FGCM of When on active service, Absenting himself without leave from 12 noon 3 Jan 1918 to 3 p.m. 17 Jan 1918 and sentenced to 60 days Field Punishment No 1, 27 Jan 1918. Forfeits 15 days pay by Royal Warrant. Sentence confirmed by Brig-Gen H.M. Dyer DSO, Commanding 7th Cdn Inf Bde, 28 Jan 1918. In confinement awaiting trial 1 Mar 1916. Tried and convicted by FGCM 11 Mar 1916 for When on active service, Striking his Superior Officer being in the execution of his Office and sentenced to 9 months Imprisonment H.L.. Confirmed by GOC 7th Canadian Infantry Brigade 14 Mar 1916. AMENDED AS FOLLOWS: The sentence of 9 months Imprisonment with Hard Labour (I.H.L.) awarded this man 11 Mar 1916 and confirmed by GOC 7th Canadian Infantry Brigade 14 Mar 1916 is commuted to 3 months F.P. No. 1, 19 Mar 1916, by GOC 2md Army.. In arrest awaiting trial 17 Jan 1917. Tried and convicted by FGCM of Conduct to the Prejudice of Good Order and Discipline (Negligently wounded himself in the right leg) and sentenced to 40 days F.P. No. 1, 13 Feb 1917. Confirmed by D.A. & Q.M.G., 1st Army, 7 Feb 1917, who commuted sentence to 21 days Field Punishment No. 2.. In arrest awaiting trial 12 Jan 1918. Tried and convicted by FGCM of Conduct to the Prejudice of Good Order and Military Discipline, negligently wounding himself and sentenced to 28 days Field Punishment No 1, 28 Jan 1918. Sentence confirmed by AAG, 1st Army 30 Jan 1918. In arrest awaiting trial 11 Sep 1918. Tried and convicted by FGCM 26 Sep 1918 of When on active service, Drunkenness in that he, on 11 Sep 1918 was drunk. Sentenced to 6 months Imprisonment with Hard Labour. Sentence confirmed by Labour Comdt Cdn Corps 27 Sep 1918. In confinement awaiting trial 5 Aug 1917. Tried and convicted by FGCM 17 Aug 1917 of While on Active Service (1) Drunkenness, 5 Aug 1917; (2) Striking his Superior Officer, 5 Aug 1917, and sentenced to forfeit GBP 1/-/- and serve 30 days Field Punishment No 1, 17 Aug 1917. Sentence confirmed by Brig-Gen H.M. Dyer, G.O.C. 7th Cdn Inf Bde, 17 Aug 1917. Absent from 6.30 p.m. 14 Nov 1917 to 3 p.m. 23 Nov 1917. In arrest awaiting trial 23 Nov 1917. Tried and convicted by FGCM of (1) When in arrest escaping; (2) While on active service, Deserting His Majesty's Service and sentenced to 20 years Penal Servitude, 3 Dec 1917. Sentence confirmed by G.O.C. 7th Cdn Inf Bde, 3 Dec 1917. 15 years Penal Servitude remitted by G.O.C. 3rd Cdn Div 6 Dec 1917. In arrest awaiting trial 24 Jun 1916. Tried and convicted by FGCM 7 Jul 1916 of Neglecting to obey and Order and sentenced to 42 days Field Punishment No. 1. Confirmed by GOC 7th Cdn Inf Bde, 9 Jul 1916. In arrest awaiting trial 24 Aug 1916. Tried and convicted by FGCM 4 Sep 1916 of When on active service, Drunkenness and sentenced to 7 days Field Punishment No. 1 and fined 1 Pound. Confirmed by GOC 7th Canadian Infantry Brigade 6 Sep 1916. SUBSEQUENTLY AMENED TO NOTE: The fine of 1 Pound is not in accordance with Financial Instructions covering fines for drunkenness. Same must be awarded in dollars according to offence. In confinement awaiting trial 18 Feb 1916. Tried and convicted by FGCM 2 Mar 1916 for Neglect to the Prejudice of Good Order and Military Discipline, carelessly wounding himself in the Right Hand and sentenced to 14 days F.P. No. 1. Confirmed by GOC 2nd Army, 3 Mar 1916. In arrest awaiting trial 15 Dec 1918. Tried and convicted by FGCM 24 Jan 1919 for endeavouring to persuade persons in forces belonging to His Majesty's Military Forces to join in Mutiny. Sentenced to 5 years Penal Servitude. Sentence confirmed by G.O.C. 3rd Cdn Div, 24 Jan 1918. Absent from 9 a.m. 30 Oct 1917 to 12 noon 4 Nov 1917. In arrest awaiting trial 4 Nov 1917. Tried and convicted by FGCM of When on active service, Deserting His Majesty's Service and sentenced to 20 years Penal Servitude, 26 Nov 1917. Sentence confirmed by Lt-Col AA Adamson, DSO, Commanding 7th Cdn Inf Bde, 26 Nov 1917. Absent from 11 a.m. 14 Nov 1917 to 1.45 p.m. 9 Dec 1917. In arrest awaiting trial 9 Dec 1917. Tried and convicted by FGCM of When on active service, Deserting His Majesty's Service and sentenced to Death, 27 Jan 1918. Sentence commuted to 2 years Imprisonment with Hard Labour by G.O.C. 1st Army. In arrest awaiting trial 22 Aug 1918. Tried and convicted by FGCM 22 Sep 1918 of When on active service, (1) Drunkenness; (2) When in arrest, escaping; (3) Striking his Superior Officer, being in the execution of his office. Sentenced to 5 months Imprisonment with Hard Labour. Sentence confirmed by G.O.C. 7th Cdn Inf Bde 23 Sep 1918. In confinement awaiting trial 21 Jul 1917. Tried and convicted by FGCM of While on Active Service Conduct to the Prejudice of Good Order and Military Discipline in that he After being duly worned for working party, failed to appear at the place of parade and sentenced to 30 days Field Punishment No. 1, 17 Aug 1917. Confirmed by Brig-Gen H.M. Dyer, G.O.C. 7th Cdn Inf Bde, 7 Aug 1917. Absent from 30 Oct 1917 to 4 Nov 1917. In arrest awaiting trial 4 Nov 1917. Tried and convicted by FGCM of When on active service, Deserting His Majesty's Service and sentenced to 20 years Penal Servitude, 26 Nov 1917. Sentence confirmed by Lt-Col AA Adamson, DSO, Commanding 7th Cdn Inf Bde, 26 Nov 1917. In arrest awaiting trial 26 Feb 1918. Tried and convicted by FGCM of When on active service, Absent without leave from 12 midnight 28 Jan 1918 till 4.30 p.m. 26 Feb 1918 and sentenced to 90 days Field Punishment No 1, 3 Apr 1918. Forfeits 29 days pay by Royal Warrant. Sentence confirmed by G.O.C. 7th Cdn Inf Bde, 3 Apr 1918. In arrest awaiting trial 24 May 1918. Tried and convicted by FGCM of When on active service, Disobeying a lawful command given personally by his Superior Officer and sentenced to 90 days Field Punishment No 1, 7 Jun 1918. Sentence confirmed by G.O.C. 7th Cdn Inf Bde, 8 Jun 1918. In confinement awaiting trial 13 Jun 1917. Tried and convicted by FGCM 26 Jun 1917 of Conduct to the Prejudice of Good Order and Military Discipline and sentenced to 30 days Field Punishment No. 1 and forfeits 44 days pay. Confirmed by Lt-Col H.M. Dyer, Commanding 7th Cdn Inf Bde, 7 Jul 1917. 74 477469, (9006) Sgt Archibald Johnston 24 Sep 1915 Reduced to the ranks. Tried by D.C.M. 24 Sep 1915 for When on Active Service Drunkenness and sentenced to be reduced to the ranks. In arrest waiting trial 9-24 Sep 1915. 16 Apr 1916 - AA Section 19; Drunkenness; Regiment listed as "RCR & PPCLI Depot"
In arrest awaiting trial 26 Jan 1918. Tried and convicted by FGCM of When on active service, Absent without leave from 7 Nov 1917 till 3 p.m. 26 Jan 1918 and sentenced to 6 months Imprisonment with Hard Labour, 3 Apr 1918. Forfeits 80 days pay by Royal Warrant. Sentence confirmed by G.O.C. 7th Cdn Inf Bde, 3 Apr 1918. In arrest awaiting trial 28 Nov 1916. Tried and convicted by FGCM of When on Active Service Drunkenness and sentenced to 28 days F.P. No. 1, 19 Jan 1917. Sentence confirmed by Brig.-Gen. A.C. Macdonell, GOC 7th Can Inf Bde. In confinement awaiting trial 22 Jun 1917. Tried and convicted by FGCM 5 Jul 1917 of Using Insubordinate language to his Superior Officer and sentenced to 90 days Field Punishment No. 1. Confirmed by Lt-Col H.M. Dyer, Commanding 7th Cdn Inf Bde, 11 Jul 1917. In arrest awaiting trial 11 Jan 1917. Tried and convicted by FGCM of Absent without Leave from a working arty on 11 Jan 1917 from 9.30 a.m. to 2.15 p.,m. and sentenced to 21 days F.P. No. 1, 17 Feb 1917. Confirmed by GOC, 7th Can Inf Bde 19 Feb 1917. In arrest awaiting trial 8 Feb 1918. Tried and convicted by FGCM of When on active service, (1) Disobeying a lawful command given by his Superior Officer; (2) When on Active Service Striking his Superior Officer being in the execution of his office, and sentenced to 90 days Field Punishment No 1, 3 Mar 1918. Sentence confirmed by G.O.C. 7th Cdn Inf Bde, 3 Mar 1918. In arrest awaiting trial 5 Aug 1918. Tried and convicted by FGCM 18 Sep 1918 of When on active service, Absent without Leave from 6 a.m. 11 Jul 1918 until 1.20 p.m. 5 Aug 1918 sentenced to 1 year Imprisonment with Hard Labour. Forfeits 26 days pay by Royal Warrant. Sentence confirmed by G.O.C. 7th Cdn Inf Bde, 23 Sep 1918. In arrest awaiting trial 5 Jun 1918. Tried and convicted by FGCM of When on active service, Drunkenness and sentenced to 60 days Field Punishment No 1 18 Jun 1918. Sentence confirmed by G.O.C. 7th Cdn Inf Bde, 19 Jun 1918. In arrest awaiting trial 1 Nov 1917. Tried and convicted by FGCM of When on active service, Absenting himself without leave from 4.15 p.m. 29 Oct 1917 to 4 p.m. 1 Nov 1917 and sentenced to 2 years imprisonment without hard labour, 26 Nov 1917. Forfiets 4 days pay by Royal Warrant. Sentence confirmed by Lt-Col AA Adamson, DSO, Commanding 7th Cdn Inf Bde, 26 Nov 1917. Absent without leave from 10.30 a.m. 13 Nov 1917 to 5 p.m. 15 Nov 1917. In arrest awaiting trial 15 Nov 1917. Tried and convicted by FGCM of When on active service, Deserting His Majesty's Service, found NOT GUILTY OF DESERTION but GUILTY OF ABSENCE WITHOUT LEAVE and sentenced to 2 years Imprisonment with Hard Labour, 3 Dec 1917. Sentence confirmed by Brig-Gen H.M. Dyer, DSO, G.O.C. 7th Cdn Inf Bde, 3 Dec 1917. In confinement awaiting trial 17 Jan 1918. Tried and convicted by FGCM of When on Active Service When in confinement escaping and sentenced to 6 months Imprisonment with Hard Labour, 8 Feb 1918. Sentence confirmed by G.O.C. 7th Cdn Inf Bde 8 Feb 1918. In arrest awaiting trial 15 Dec 1918. Tried and convicted by FGCM 23 Jan 1919 for Conduct to the Prejudice of Good Order and Military Discipline, etc., Sentenced to 6 months Imprisonment with Hard Labour. Sentence confirmed by G.O.C. 3rd Cdn Div, 24 Jan 1918. In arrest awaiting trial 17 May 1916. Tried and convicted by FGCM 12 Jun 1916 of When on active service, Neglect to the Prejudice of Good Order and Discipline (Carelessly wounding himself in the Left Foot) and sentenced to 3 months Field Punishment No. 1. Confirmed by GOC 2nd Army 12 Jun 1916. In arrest awaiting trial 19 Aug 1919. Tried and convicted by FGCM 18 Jan 1919 of When on active service, Absenting himself without leave from about 22.00 hours 7 Aug 1918 until about 14.30 hours 19 Aug 1918 (11 days 16.30 hours). Sentenced to 2 years Imprisonment with Hard Labour. Forfeits 12 days pay by Pay & Allowance regulations. Sentence confirmed by G.O.C. 7th Cdn Inf Bde, 19 Jan 1919. In confinement awaiting trial 1 Nov 1915. Tried and convicted by FGCM of When on active service, Drunkenness and sentenced to be Reduced to the Ranks and 90 days F.P. No. 1, 8 Nov 1915. Confirmed by GOC Canadian Corps Troops, 10 Nov 1915. In arrest awaiting trial 23 Oct 1918. Tried and convicted by FGCM 15 Nov 1918 of When on active service, Absent without leave from 05.30 hours 22 Oct 1918 until 10.00 hours 23 Oct 1918 (28 Â½ hours). Sentenced to 14 days Field Punishment No 1 and forfeits 1 days pay by Royal Warrant. Sentence confirmed by G.C.O. 7th Cdn Inf Bde, 16 Nov 1918. In arrest awaiting trial 29 Apr 1916. Tried and convicted by FGCM 6 May 1916 of When on active service, Neglect to the Prejudice of Good Order and Military Discipline, Failing to warn men of his Platoon for a working party and sentenced to be Reduced to the Rank of Corporal. Confirmed by GOC 7th Cdn Inf Bde, 8 May 1916. Absent from 29 Oct 1917 to 1 Nov 1917. In arrest awaiting trial 1 Nov 1917. Tried and convicted by FGCM of When on active service, Deserting His Majesty's Service and sentenced to 20 years Penal Servitude, 28 Nov 1917. Sentence confirmed by Lt-Col AA Adamson, DSO, Commanding 7th Cdn Inf Bde, 28 Nov 1917. 1919 - Court Martialed, 1919 under AA Section 40, 8(2b) - Conduct to prejudice of good order and military discipline; Insubordination. In arrest awaiting trial 13 Jul 1918. Tried and convicted by FGCM of When on active service, and act to the prejudice of Good Order and Military Discipline in that he, at WAILLY on 13 Jul 1918 did dig potatoes in the garden of a civilian without authority and sentenced to 30 days Field Punishment No 1, 5 Aug 1918. Sentence confirmed by G.O.C. 7th Cdn Inf Bde, 5 Aug 1918. - SENTENCE QUASHED by GOC 1st Army; DO Pt II No 139 dated 28 Nov 1918. - SENTENCE QUASHED by GOC 1st Army; DO Pt II No 139 dated 28 Nov 1918. In confinement awaiting trial 11 Feb 1916. Tried and convicted by FGCM of When on active service, Drunkenness and sentenced to 3 months F.P. No. 1, 21 Feb 1916. Confirmed by GOC 7th Canadian Infantry Brigade 23 Feb 1916. 110 477606, (16063) Sgt Frederick Arthur Edward Morrison 18 Jan 1919 Reduced to the rank of Corporal. In arrest awaiting trial 5 Jan 1919. Tried and convicted by FGCM 18 Jan 1919 of When on active service, Receiving Stolen Goods, well knowing them to be stolen. Sentenced to be reduced to the rank of Corporal. Sentence confirmed by G.O.C. 7th Cdn Inf Bde, 19 Jan 1919. Absent from 11 a.m. 14 Nov 1917 to 3.30 p.m. 10 Dec 1917. In arrest awaiting trial 10 Dec 1917. Tried and convicted by FGCM of When on active service, Deserting His Majesty's Service and sentenced to Death, 28 Jan 1918. Sentence commuted to 5 years Penal Servitude by G.O.C. 1st Army. Placed under suspended sentence 6 Feb 1918 G.O.C. 1st Army. In arrest awaiting trial 25 Feb 1918. Tried and convicted by FGCM of When on active service, Absent without leave from 12 midnight 5 Feb 1918 till 12.30 p.m. 25 Feb 1918 and sentenced to 60 days Field Punishment No 1, 3 Apr 1918. Forfeits 20 days pay by Royal Warrant. Sentence confirmed by G.O.C. 7th Cdn Inf Bde, 3 Apr 1918. In arrest awaiting trial 20 Nov 1917. Absent from 7.30 a.m. 14 Nov 1917 to 11.40 a.m. 20 Nov 1917. Tried by FGCM of When on active service, Deserting His Majesty's Service, found NOT GUILTY of Desertion but GUILTY of ABSENCE WITHOUT LEAVE and sentenced to 2 years Imprisonment with Hard Labour, 11 Dec 1917. Forfeits 7 days pay by Royal Warrant. Sentence confirmed by G.O.C. 7th Cdn Inf Bde, 26 Nov 1917. Sentence suspended by DAAG, 1st Army 27 Dec 1917. In arrest awaiting trial 15 May 1918. Tried and convicted by FGCM of When on Active Service (1) Absenting himself without leave from about 7.45 a.m. 19 Apr 1918 until about 10.15 p.m. 15 May 1918 (about 26 days 14 1/2 hours); (2) Losing by neglect his clothing and Regimental necessaries in that he on the 17th day of May 1918 was deficient of 1 Webb belt value 2/9d, 2 shoulder badges value 3d, 1 Lanyard value 3/4d. Total value 3 / 0 3/4 d and sentenced to 6 months Imprisonment with Hard Labour 20 May 1918. Forfeits 26 days by Royal Warrant. Sentence commuted to 90 days Field Punishment No 1 on 28 May 1918 by Commandant, E.A.D. 117 171563 Sgt Ernest Frederick Nightingale 5 Aug 1918 Reduced to the ranks. In arrest awaiting trial 15 Jul 1918. Tried and convicted by FGCM of When on active service, Drunkenness and sentenced to be reduced to the ranks, 5 Aug 1918. Sentence confirmed by G.O.C. 7th Cdn Inf Bde, 5 Aug 1918. In arrest awaiting trial 28 May 1918. Tried and convicted by FGCM of When on active service, Absent without leave from 7 a.m. 28 May 1918 till 2 p.m. 28 May 1918 and sentenced to 7 days Field Punishment No 1, 7 Jun 1918. Forfeits 1 days pay by Royal Warrant. Sentence confirmed by G.O.C. 7th Cdn Inf Bde, 8 Jun 1918. In confinement awaiting trial 29 Nov 1917. Tried and convicted by FGCM of When on Active Service when on Leave to the United Kingdom overstaying leave from Etaples from 2/3 Nov 1917 until apprehended in England 23 Nov 1917 and sentenced to 56 days Field Punishment No 1, Forfeits 21 days pay by Royal Warrant. Sentence confirmed by Brig-Gen F.W. Ratcliffe 15 Jan 1918. - AMENDED at DO Pt II No 25 dated 27 Oct 1918 to change date of confinement from 11 Dec to 29 Nov. In arrest awaiting trial 3 Oct 1917. Tried and convicted by FGCM of When a soldier, acting as sentinel on active service, sleeping on his post in that he, in the Field, on 3 Oct 1917 about midnight when sentry on Listening Post was asleep and sentenced to 4 months I.H.L., 21 Oct 1917.Sentence confirmed by Brig-Gen H.M. Dyer, G.O.C. 7th Cdn Inf Bde, 21 Oct 1917. 121 1033001 Cpl Verne Archibald Pearsall 28 Nov 1917 Reduced to the ranks. In arrest awaiting trial 19 Nov 1917. Tried and convicted by FGCM of When on active service, disobeying, in such a manner as to show a wilful defiance of Authority, a command given by his Superior Officer in the execution of his Office, sentenced to be Reduced to the Ranks, 28 Nov 1917. Sentence confirmed by Lt-Col AA Adamson, DSO, Commanding 7th Cdn Inf Bde, 28 Nov 1917. The Trial and Conviction by FGCM dated 28 Nov 1917 reported in part II Orders No 121 dated 14 Dec 1917 is quashed. G.O.C. 1st Army. In arrest awaiting trial 15 Dec 1918. Tried and convicted by FGCM 23 Jan 1919 for using insubordinate language to his superior officer. Sentenced to 6 months Imprisonment with Hard Labour. Sentence confirmed by G.O.C. 3rd Cdn Div, 24 Jan 1918. In arrest awaiting trial 10 Jul 1916. Tried and convicted by FGCM 27 Jul 1916 of When on active service, Drunkenness and sentenced to 90 days Field Punishment No. 1. Confirmed by GOC 7th Canadian Infantry Brigade 30 Jul 1916. In confinement awaiting trial 8 Mar 1916. Tried by FGCM 16 Mar 1916 for When on active service, Drunkenness and sentenced to 60 days F.P. No. 1. Confirmed by GOC 7th Canadian Infantry Brigade 19 Mar 1916. In arrest awaiting trial 8 Jun 1918. Tried and convicted by FGCM of When on active service, Disobeying a Lawful Command given by his Superior Officer being in the execution of his office and sentenced to 45 days Field Punishment No 1, 19 Jun 1918. Sentence confirmed by G.O.C. 7th Cdn Inf Bde, 20 Jun 1918. In arrest awaiting trial 7 Aug 1918. Tried and convicted by FGCM 17 Sep 1918 of When on active service, Absent without Leave from 3 a.m. 30 Jul 1918 until 9 a.m. 7 Aug 1918 sentenced to 90 days Field Punishment No 1. Forfeits 9 days pay by Royal Warrant. Sentence confirmed by G.O.C. 7th Cdn Inf Bde, 23 Sep 1918. In arrest awaiting trial 9 Dec 1916. 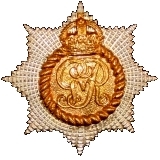 Tried and convicted by FGCM of When on Active Service using Insubordinate Language to his Superior Officer and sentenced to be reduced to the rank of Corporal, 3 Feb 1917. Sentence confirmed by Brig.-Gen. A.C. Macdonell, GOC 7th Can Inf Bde; 5 Feb 1917. In confinement awaiting trial 22 Nov 1915. Tried and convicted by FGCM of When on active service, Drunkenness and sentenced to be Reduced to the Ranks, 29 Nov 1915. Confirmed by GOC Canadian Corps Troops, 9 Dec 1916. In arrest awaiting trial 21 Apr 1916. Tried and convicted by FGCM 8 May 1916 of When on active service, Neglect to the Prejudice of Good Order and Discipline (Carelessly wounding himself in the Left Foot) and sentenced to 28 days Field Punishment No. 1. Confirmed by GOC 2nd Army 8 May 1916. In arrest awaiting trial 19 May 1918. Tried and convicted by FGCM of When on active service, Absent without leave from 9.10 a.m. 19 May 1918 till apprehended by the Military Police at Bruay 9.20 p.m. 19 May 1918 and sentenced to 60 days Field Punishment No 1, 28 May 1918. Forfeits 1 days pay by Royal Warrant. Sentence confirmed by G.O.C. 7th Cdn Inf Bde, 28 May 1918. In arrest awaiting trial 18 Jun 1918. Tried and convicted by FGCM of (1) When on active service, when in confinement, escaping; (2) When on active service absent without leave from 7.30 a.m. 12 Jun 1918 to 1.30 p.m. 18 Jun 1918; (3) When on active service, when in lawful custody attempting to escape. Sentenced to 9 months Imprisonment with Hard Labour, 23 Jul 1918. Forfeits 7 days pay by Royal Warrant. Sentence confirmed by G.O.C. 7th Cdn Inf Bde, 26 Jul 1918. In arrest awaiting trial 10 Nov 1918. Tried and convicted by FGCM 30 Nov 1918 of When on active service, An Act to the prejudice of Good Order and Military Discipline, in that he, at MONS 10 Nov 1918, negligently discharged his rifle thereby wounding Pte Bourgeois, The RCR, Sentenced to 28 days Field Punishment No 1 and 90 days forfeiture of pay. Sentence confirmed by G.O.C. 7th Cdn Inf Bde, 1 Dec 1918. 140 477813 Cpl Charles Edouard Sauve 2 Jul 1918 Reduced to the ranks. In arrest awaiting trial 29 Jun 1918. Tried and convicted by FGCM of Absenting himself without leave at Etaples from 26 Jun 1918 till 28 Jun 1918 and sentenced to be reduced to the ranks, 2 Jul 1918. Forfeits 3 days pay by Royal Warrant. Sentence confirmed by G.O.C. Etaples, 3 Jul 1918. In arrest awaiting trial 9 Jun 1918. Tried and convicted by FGCM of When on active service, Absenting himself without leave from 9.30 p.m. 29 May 1918 till apprehended by M.F.P. at 10.15 p.m. 9 Jun 1918 and sentenced to be 60 days Field Punishment No 1, 18 Jun 1918. Forfeits 12 days pay by Royal Warrant. Sentence confirmed by G.O.C. 7th Cdn Inf Bde, 19 Jun 1918. In arrest awaiting trial 30 Aug 1918. Tried and convicted by FGCM 23 Sep 1918 of When on active service, Conduct to the prejudice of Good Order and Military Discipline, in that he, negligently discharged a rifle thereby causing a wound to one Pte Spencer, The RCR, and sentenced to 30 days Field Punishment No 1. Sentence confirmed by G.O.C. 7th Cdn Inf Bde. In confinement awaiting trial 21 Dec 1917. Tried and convicted by FGCM 26 Dec 1917 of Conduct to the Prejudice of Good Order and Military Discipline, at Etaples, on 21 Dec 1917 when ordered to go away from No 2 Bridge endeavoured to incite resistance to the police and sentenced to 56 days Field Punishment No 1, Sentence confirmed by Brig-Gen F.W. Ratcliffe 28 Dec 1917. In arrest awaiting trial 8 Jun 1918. Tried and convicted by FGCM of When on active service, Disobeying a Lawful Command given by his Superior Officer being in the execution of his office and sentenced to 21 days Field Punishment No 1, 19 Jun 1918. Sentence confirmed by G.O.C. 7th Cdn Inf Bde, 20 Jun 1918. In arrest awaiting trial 30 Jun 1918. Tried and convicted by FGCM of When on active service, Conduct tp the prejudice of Good Order and Military Discipline: negligently wounding himself in that he in the field on 30 Jun 1918, while cleaning a loaded rifle wounded himself in the left hand.. Sentenced to 42 days Field Punishment No 1, 26 Jul 1918. Sentence confirmed by G.O.C. 7th Cdn Inf Bde, 18 Jul 1918. 151 477928, (6834) Cpl Joseph Frank Sullivan Tooke 29 Sep 1915 Reduced to the ranks. Tried by Regimental Court Martial 29 Sep 1915 for When on Active Service, Drunkenness, and sentenced to be reduced to the ranks. In arrest awaiting trial 18-29 Sep 1915. In arrest awaiting trial 20 Jan 1918. Tried and convicted by FGCM of When on active service, Absenting himself without leave from 12 noon 19 Dec 1917 to 6 p.m. 6 Jan 1918 and sentenced to 30 days Field Punishment No 1, 27 Jan 1918. Forfeits 19 days pay by Royal Warrant. Sentence confirmed by Brig-Gen H.M. Dyer DSO, Commanding 7th Cdn Inf Bde, 28 Jan 1918. 153 477931, (9640) Cpl William Charles Tuffs 21 Feb 1916 Reduced to the ranks. In confinement awaiting trial 11 Feb 1916. Tried and convicted by FGCM of When on active service, Drunkenness and sentenced to be Reduced to the Ranks and 3 months days F.P. No. 1, 21 Feb 1916. Confirmed by GOC 7th Canadian Infantry Brigade 23 Feb 1916. Tried by D.C.M. , 18 Oct 1915, and sentenced to undergo Detention for 28 days for:- (1) When on Active Service, using insubordinate language to his Superior Officer (2) Conduct to the prejudice of Good Order and Military Discipline. In arrest awaiting trial 3-12 Oct 1915. To Detention Barracks 22 Oct 1915. In arrest awaiting trial 30 Aug 1918. Tried and convicted by FGCM 8 Sep 1918 of When on active service, Conduct to the prejudice of Good Order and Military Discipline in that he, near MONCHY Le PREUX on 28 Aug 1918 during an attack quitted his platoon and proceeded to the rear. Sentenced to 28 days Field Punishment No 1, 5 Aug 1918. Sentence confirmed by G.O.C. 7th Cdn Inf Bde, 8 Aug 1918. Absent from 27 Oct 1917 to 3 Nov 1917. In arrest awaiting trial 3 Nov 1917. Tried and convicted by FGCM of When on active service, Deserting His Majesty's Service and sentenced to 10 years Penal Servitude, 26 Nov 1917. Sentence confirmed by Lt-Col AA Adamson, DSO, Commanding 7th Cdn Inf Bde, 26 Nov 1917. In confinement awaiting trial 1 Nov 1916. Tried and convicted by FGCM at Havre 6 Nov 1916 for Drunkenness, in that he at Havre on 1 Nov 1916 was drunk. Found guilty and sentenced to be reduced to the ranks, and forfeits 14 days pay. Sentence confirmed by Brig.-Gen. J.S. Nicholson, Base Commandant, Havre 7 Nov 1916. In confinement awaiting trial 8 Mar 1916. Tried by FGCM 16 Mar 1916 for When on active service, Drunkenness and sentenced to 30 days F.P. No. 1. Confirmed by GOC 7th Canadian Infantry Brigade 19 Mar 1916. In confinement awaiting trial 8 Sep 1917. Tried and convicted by FGCM of When on Active Service Negligence to the Prejudice of Good Order and Military Discipline in that he on 18 Aug 1917 shot No 734225 Pte Dowling J.B. and sentenced to 30 days Field Punishment No. 1, 24 Sep 1917. Confirmed by Brig-Gen H.M. Dyer, Commanding 7th Cdn Inf Bde, 24 Sep 1917. In arrest awaiting trial 10 May 1918. Tried and convicted by FGCM of When on active service, Using insubordinate language to his Superior Officer in that he at Bourecq on 10 May 1918 said to L/Cpl LaFrance I'll get you when we are in the Line or words to that effect and sentenced to 30 days Field Punishment No 1, 28 May 1918. Sentence confirmed by G.O.C. 7th Cdn Inf Bde, 28 May 1918. In arrest awaiting trial 22 Jun 1916. Tried and convicted by FGCM 5 Jul 1916 of When on active service, Drunkenness when paraded to proceed to the Trenches and sentenced to 42 days Field Punishment No. 1. Confirmed by GOC 7th Cdn Inf Bde, 5 Jul 1916. In arrest awaiting trial 20 Aug 1917. Tried and convicted by FGCM of When on active service, Drunkenness and sentenced to be reduced to the ranks and 30 days Field Punishment No 1, 21 Oct 1917. Sentence confirmed by Brig-Gen H.M. Dyer, G.O.C. 7th Cdn Inf Bde, 21 Oct 1917. 166 478021, (5622) C.Q.M.S. Charles William Wise 18 Jan 1919 Reduced to the rank of Corporal. In arrest awaiting trial 5 Jan 1919. 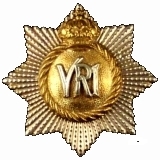 Tried and convicted by FGCM 18 Jan 1919 of When on active service, Stealing Public Goods and sentenced to be reduced to the rank of Corporal. Sentence confirmed by G.O.C. 7th Cdn Inf Bde, 19 Jan 1919. 167 478028, (4403) Sgt Walter Edwin Wood 8 Oct 1915 Reduced to the rank of Corporal. Tried by D.C.M. 8 Oct 1915 and sentenced to be reduced to the rank of Corporal for When on Active Service, Drunkenness. In arrest awaiting trial from 21 Sep to 8 Oct 1915. Tried by D.C.M. 22 Sep 1915 and sentenced to be reduced to the ranks and undergo 42 days detention for Conduct to the prejudice of Good Order and Military Discipline, Inciting men against Inoculation. In arrest awaiting trial 10-29 Sep 1915; No. 10 Detention Bks.